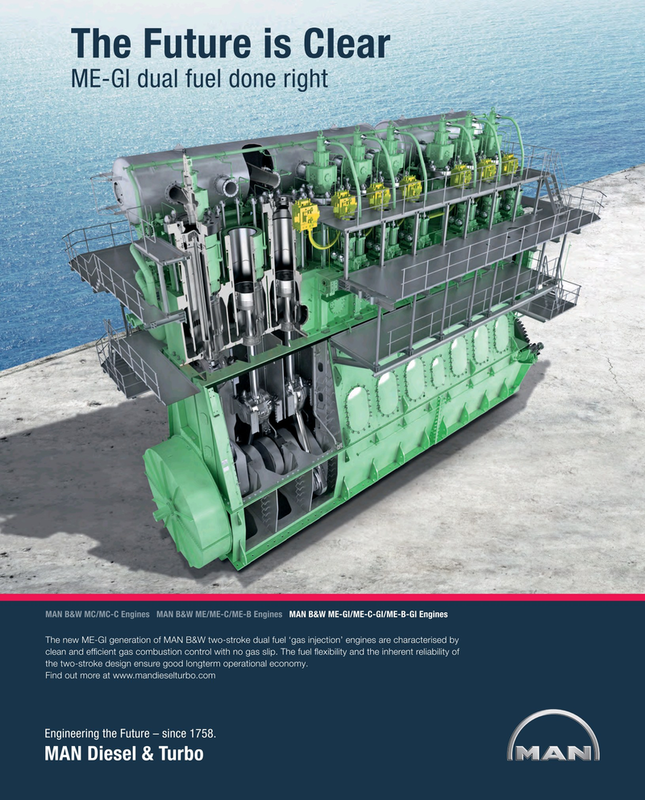 The new ME-GI generation of MAN B&W two-stroke dual fuel ‘gas injection’ engines are characterised by clean and ef? cient gas combustion control with no gas slip. The fuel G exibility and the inherent reliability of the two-stroke design ensure good longterm operational economy.